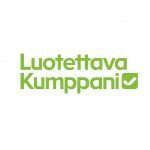 RCP Software is approved service provider for Business Finland innovation voucher. Apply now and take advantage of EUR 5000 (+VAT) support for the development. You can use the innovation vouchers to purchase new knowledge and skills for your business. Value of the voucher is 6200 Euros (5000e + VAT). You may use them for purchasing expert services related to innovation activities, for instance, from companies providing innovation services, universities, universities of applied sciences and research organisations. Innovation activities refer to all measures employed by the company to develop its products, services or processes, or to acquire new knowledge and competencies required in innovation activities. the company or a company within the same group has been awarded Business Finland innovation funding during the current or previous year (a granted innovation voucher is Business Finland innovation funding) OR the company or a company within the same group is running an innovation project funded by Tekes OR the company or a company within the same group has filed another application with Business Finland. Ask more about Business Finland innovation voucher!